An old white grape that is only now grown in very small quantities and is very low yielding. It has very thin skins which are particularly susceptible to botrytis and is a late ripener. Its potential is to give highly aromatic, full bodied wines which can age well, developing complexity and long finishes. Whilst these wines are not in common circulation, they are so long lived that some are still in existence from the 18th century. Terrantez is an off dry wine with an exquisite taste of light and delicate freshness. The wine has light notes, almost a delicate lemon zest and ozone like quality of freshness, but with the delightful depth and elegance of a Madeira made wine.Terrantez sits between Verdelho and Sercial in simple sweetness terms but is closer to Bual in its smooth full elegance. A complex crossover wine embodying all that a dryer style of Madeira has to offer with enhanced smooth fresh richer citrus tones. Terrantez will pair with quite strong meaty foods such as consomme where a red wine would overwhelm and a white would not quite be right. This Madeira wine will work with with cold cuts of meats especially cured hams and high quality pies, pates and foie gras as well as duck.Strong cheeses can also be matched to with this wonderful wine. 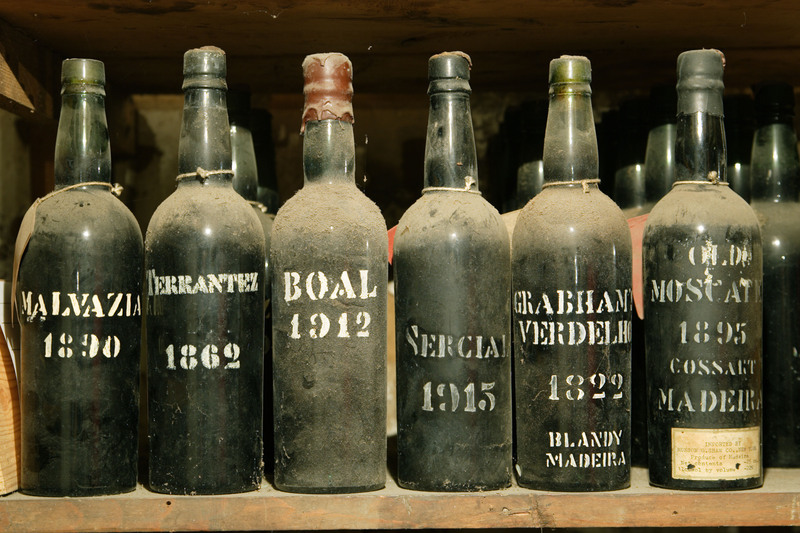 5 Bual Madeira Wines found.